The Features: Hello, natural beauty. 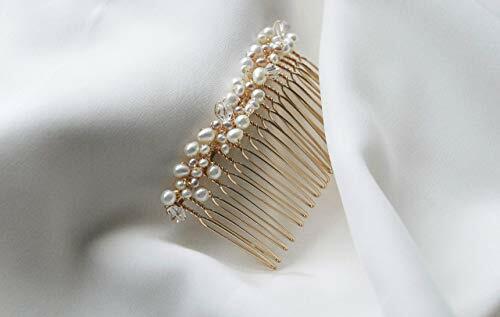 A simply elegant hair comb embellished with ivory and blush freshwater pearls. Clear glass beads add a sleek, modern touch. The Look: Nestle in a messy French twist updo for a relaxed yet chic look.